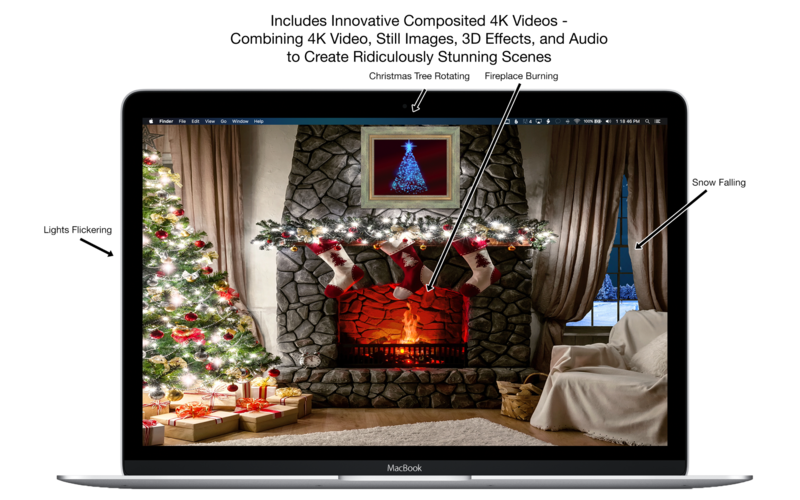 Introducing Fireplace 4K: The most innovative and insanely beautiful Wallpaper application ever conceived. 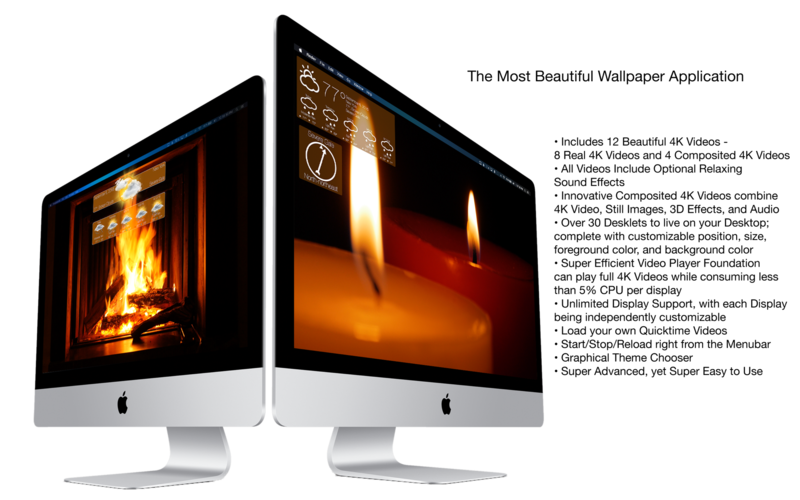 Fireplace 4K features over 12+ stunning themes, with each theme featuring breathtaking 4K Video and Audio and the most cutting-edge and beautiful "Desklets" ever to grace a Desktop! 4K Videos include: Modern, Cottage, Chalet, Bonfire, Candles, Romantic, Campfire, Ring of Fire, Cozy Interior, Winter Landscape, Modern Interior, and much more! 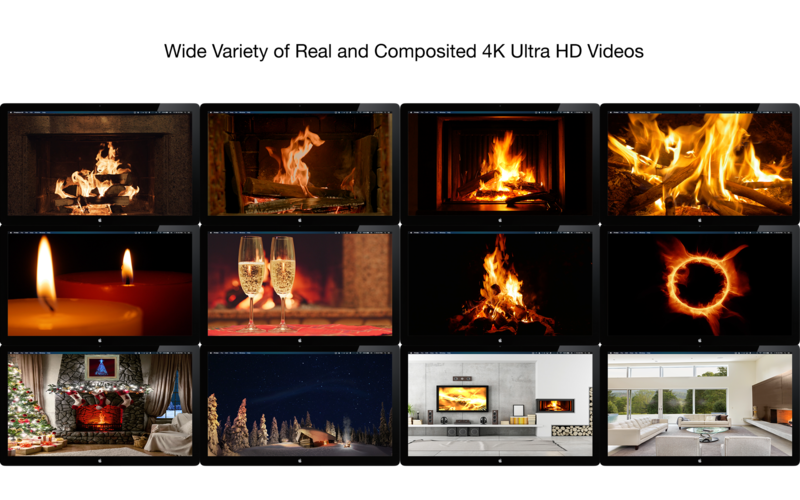 Fireplace 4K features over 8 "Real" 4K Fireplace videos and 4 "Composited" 4K Fireplace Videos: Combining 4K Video, Still Images, 3D Effects, and Audio to create an unparalleled experience. Fireplace 4K also features a super efficient video player foundation that can play full 4K videos while consuming on average 5% CPU per display; so it's not only insanely beautiful -- but ridiculously efficient as well. Other features include Unlimited Display support, with each Display being independently customizable; 30+ Desklets to live on your Desktop with each Desklet supporting customizable position, size, font, foreground color, and background color, and you can even load your own Quicktime videos. 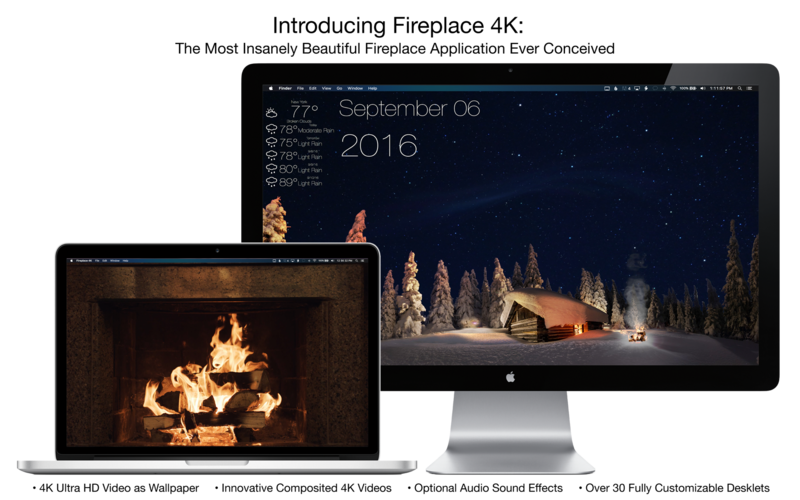 Built on tested and proven technology, Fireplace 4K is the most beautiful application to ever live on your Desktop. Fireplace 4K works great on 3K and 5K displays as well! 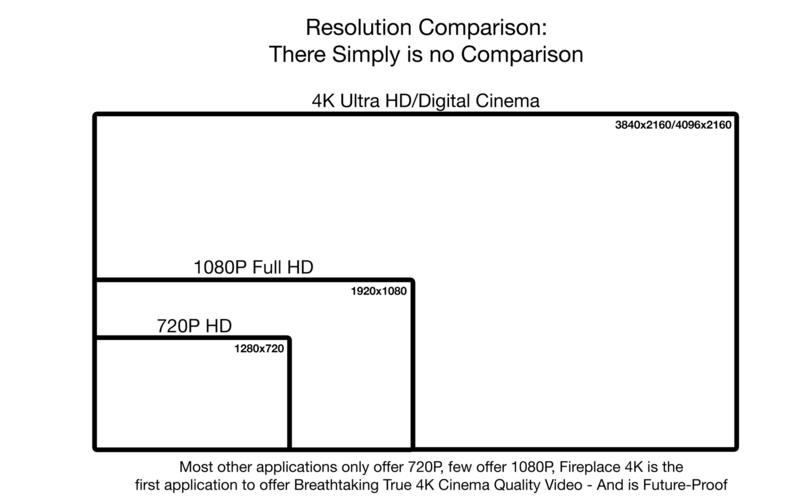 Need help using Fireplace 4K? Click here to go to our Support site.